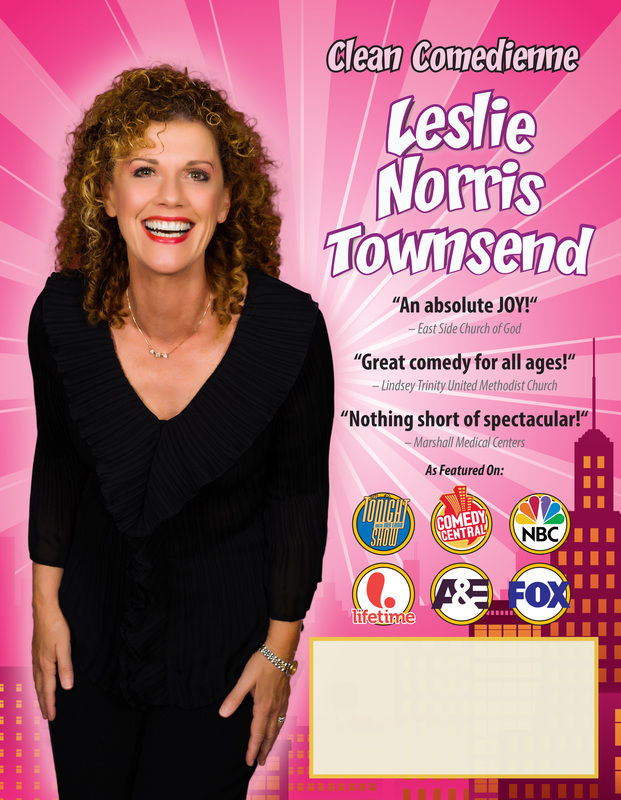 Backed by over 20 years of experience, Leslie Norris Townsend is easily one of the funniest, most entertaining Christian comediennes working today. She offers congregations of every size and personality an interesting and intriguing look at marriage, motherhood and the perfect balancing act desired by women. Leslie proves you can have it all without losing your mind! A powerful woman's speaker, Leslie promotes self worth and strengthening women to be their best. But her show isn't just for women. Leslie's comedy appeals to everyone from all walks of life. Plus her sidesplitting show can include a heartwarming message about hanging on to your faith in a changing world. 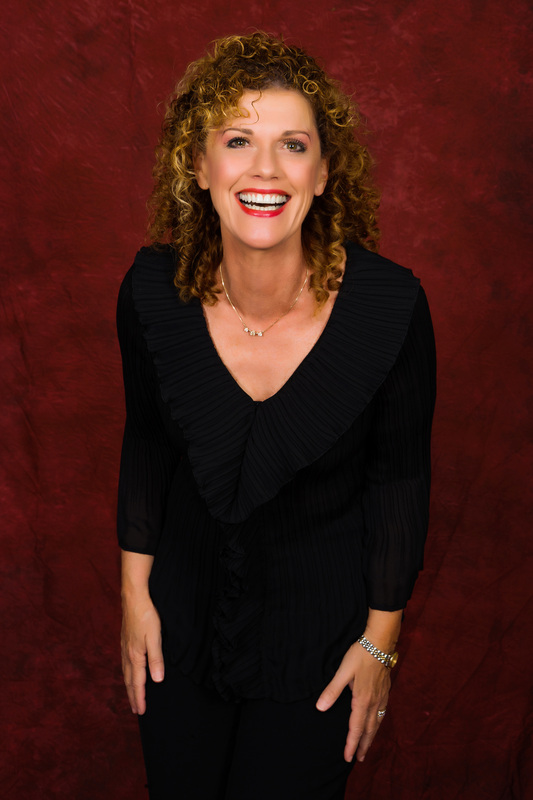 Leslie 30+ television appearances include Comedy Central, A&E's "An Evening at the Improv" and sketches seen on "The Tonight Show with Jay Leno." She was even a Grand Finalist on "Star Search". 100% clean and funny. In addition to all of the laughs, Leslie is happy to share her testimony if desired. 80% entertainment + 20% message. As a teenager, Leslie lost her mother to cancer and father to alcoholism. Left to raise her younger siblings, she never lost her positive outlook. She went from food stamps to Star Search grand champion finalist, with $100,000 within her grasp. Devastated that she didn't take home the Grand prize, it wasn't until years later that Leslie saw that God had bigger plans. The surprise ending to this story will motivate and inspire all. Available for: Outreach event, Spiritual Retreat, Senior Adult Banquet, Ladies' Night Out, Family Night, Singles Night, Formal, Women's Ministry, Service, Valentine's Dinner, Mother's Day, Christmas Party, Benefit, Women of Faith, Concert, Reunion, Homecoming, Ladies' Tea, Luncheon, Dinner, Cruise, Women's Retreat, Salvation Army event.